Check-Ins and redeemable passes go hand in hand. They were actually both feature requests that turned out to be very well-liked features. 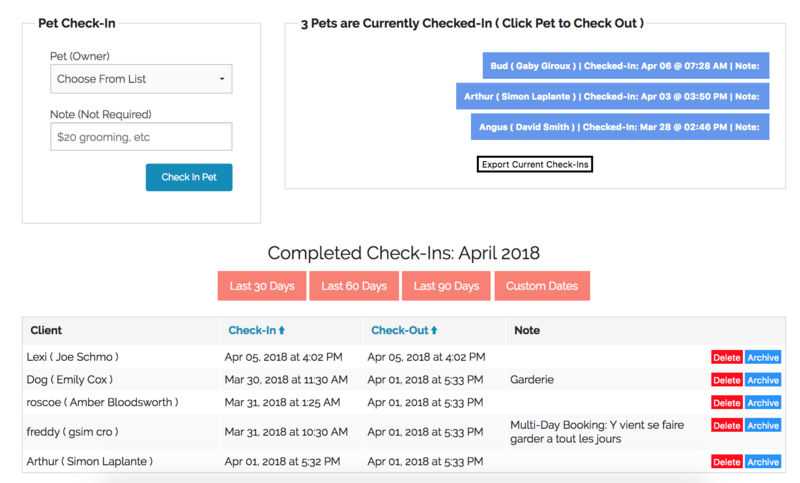 Check-Ins are a great for your businesses to keep track of which pets you have in your possession at any given time. When fido comes in, simply select his name from the dropdown list and click the "Check-In" button. Now there's a record of when he arrived in your possession, as well as any notes you want to keep track of for his stay.